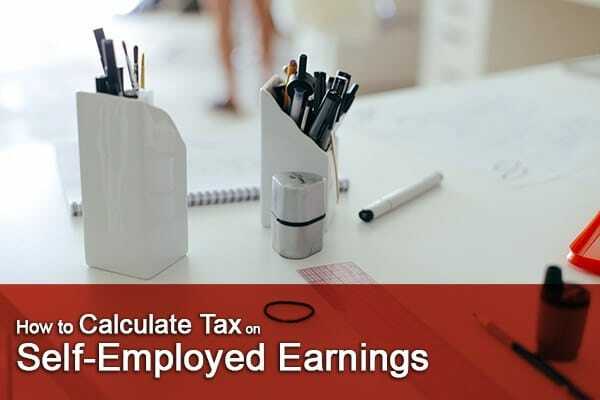 How Do You Calculate Tax for Self-Employed Earnings? How Do You Calculate Tax on Self-Employed Earnings? Self-employment accounts for a significant portion of jobs in the United States; over 10.1 percent of all those employed across the country—or 15 million people—were self-employed as of 2015. The Las Vegas metropolitan area, in particular, has seen growth in self-employment of over two percent since 2009, more than all but two other metropolitan areas across the country. Self-employment offers a lot of advantages and freedom, but with the perks comes the need to correctly calculate tax on self-employed earnings and file correctly. The taxes that the self-employed must pay are intended to mirror the tax burden that the traditionally employed carry, but these taxes can be confusing to work out for the newly—and veteran—self-employed. Are you self-employed in Las Vegas? Let us fix your accounting mistakes before (and after) they happen. Call (702) 471-7223 today for your free consultation. Self-employed individuals have two tax burdens to consider when calculating taxes on their self-employed earnings: income tax and self-employment tax. The self-employed are only subject to income tax, however, if their self-employment activities in a given year generate a net profit (if their business income exceeds their business expenses). This is because income tax is only calculated on net profit, not total self-employment earnings. For those self-employed individuals who are profitable, income tax operates in the same way for the self-employed as it does for the traditionally employed. Self-employed individuals must also calculate the self-employment tax on their earnings. This tax covers the entire portion of Social Security and Medicare taxes that all working Americans must pay. Traditionally employed individuals share this tax burden with their employers, but the self-employed must pay the entire amount; this equals 12.4 percent of your net self-employment earnings for Social Security tax and 2.9 percent for Medicare tax, or 15.3 percent in total. However, the employer-equivalent amount of the self-employment tax is deductible for the purposes of income tax. Because calculating tax for self-employed earnings is more complicated than doing so on employer-provided income, the newly self-employed face a lot of possible tax mistakes—and these mistakes have big repercussions. Three particular tax errors have the potential to cost you thousands. Many self-employed individuals, particularly those that do freelance project work, find that their income fluctuates from year-to-year; the difficulty of estimating yearly income leads many to fail to set aside money for taxes. This can cause many potential issues if tax time comes and you don’t have the funds to cover your tax bill. Estimate your yearly income as closely as possible by looking at your previous year’s income and aim to save at least 30 percent of your projected income for taxes. Both under- and over-reporting your income can have tremendously expensive consequences for the self-employed. Overestimating your self-employment income will obviously lead to paying more tax than necessary, but underreporting your income may actually be costlier. Purposely or accidentally underreporting your self-employment income may constitute tax fraud, and underreporting your income can trigger an IRS audit and lead to massive civil fines, penalties and even prison time. If an IRS audits uncovers unreported self-employment income, tax penalties can begin at 25 percent for true mistakes and go up to 75 percent for purposeful fraud. Failing to take full advantage of all available tax deductions is potentially costly for all taxpayers, but the self-employed in particular stand to lose a lot of money by not taking all of the deductions available to them. With self-employment comes a long list of business expenses, and many deductions exist to directly offset a wide variety of expenses for the self-employed. If you run your business from your home, for example, you can potentially deduct all of your housing-related expenses generated by your business. Use of your personal automobile for business purposes can similarly be deducted. Other potential deductions that all self-employed individuals should investigate include educational expenses, advertising and promotional costs, business-related entertainment and restaurant meals, and depreciation of business equipment. In all cases, strive to maintain accurate records including saving receipts throughout the year to make the process of figuring out your deductions easier at tax time. If you make at least $400 in income from self-employment, you must file an annual tax return using Form 1040. How you report your self-employment income to the IRS will depend on whether you are considered a self-employed business owner or a self-employed independent contractor. Business owners who submit a Form 1120 business tax return will report their income via Schedule K-1 while independent contractors submit their income information via either Form 1099-MISC or receipts. Both types of self-employed individuals will need to pay estimated taxes quarterly and any remaining tax owed with their tax return. Correctly calculating and filing your taxes when you are self-employed can be challenging, but proper preparation can help you avoid many tax pitfalls. Keeping accurate records throughout the year and seeking professional tax guidance when necessary can help save you money and keep you in good standing with the IRS.